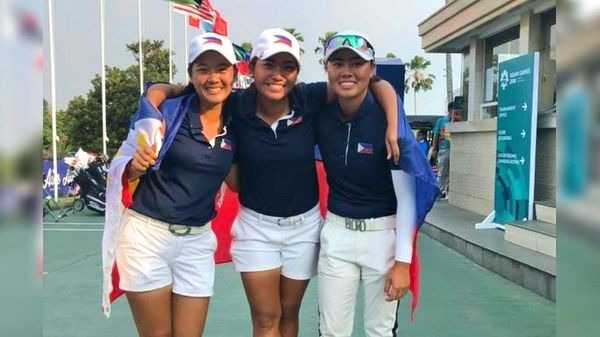 The Philippines finally brought home its 2nd and 3rd gold medals following an impressive win by our golfers in the 2018 Asian Games at the Pondok Indah Golf and Country Club on Sunday, August 26. In the women's golf tournament, Yuka Saso, Bianca Pagdanganan, Lois Kaye Go gave everyone some Pinoy Pride as they dominated the competition. Filipino-Japanese Yuka Saso gave an impressive performance in the women's individual golf. Saso fired an eagle on the 18th and tallied a 66 in the fourth round for a 13-under 275 total. The 17-year-old golfer took home the gold after beating China’s bet Liu Wenbo, who settled for silver. The Philippines golf team won another gold for the women’s team category. Bianca Pagdanganan also took the podium with Saso as she won a bronze medal. With a total of 13 medals, the Philippine team is now ranked 14th out of 33 teams. China takes the lead with a total of 162 medals.